“Mom, I want to cook something Indian or Indian fusion tonight! What can I make?” I get these calls frequently from my children who are away from home. I also get similar questions from my friends who love to cook Indian dishes but feel overwhelmed. Well fear no more! This blog has tried and tested, easy-to-follow recipes that are sure to be a hit with you and your friends! I plan to incorporate all kinds of recipes from simple and semi-homemade to “made from scratch,” so, whether you are a college student, or new at cooking with Indian spices, or a pro at it, I hope to inspire you all! Namaste, my name is Sandhya. I teach Indian and Indian fusion cooking in and around Lexington, MA. I grew up in India where I learned to cook from my mother, Mrs. Vaijayanti Rege, who taught cooking classes and published two cookbooks – Ruchi and Zanzaneet Non-Veg – in Marathi. She was an amazing cook, and I like to believe I inherited her passion for cooking and innovating recipes! The solid foundation I got from my mom in the culinary arts gave me the confidence to create new fusion recipes when I arrived here in America over 30 years ago. I have a huge repertoire of recipes that I have created over the years, so when my kids ask me, “Mom what can I make for dinner with the ingredients I have on hand?” I tell them that with so many possible recipes and combinations,the sky is the limit ! Awesome blog with unique, easy and yummy recipes! I loved it. Great blog Sandhya! Can’t wait to try the recipes. Easy and quick ideas for fast paced life. Thanks Shachi! Feel free to let me know what type of recipes you would like to see. Lovely blog! Thanks for sharing your recipes. I am so excited about trying out some of these. The Pav Bhaji platter is a very innovative idea. Thank you Jui! Do let me know how you like the recipes. Hope all is well with you and your family. Thanks Jayeeta. It is so nice to meet you too! I look forward to knowing more about your Bengali specialties too. Thanks for the follow! Your blog looks very imformative! Interesting to see your blog on cooking. Hoping to read more posts in future. Have a wonderful blogging journey ahead. Thank you so much Reji! Hi Sandhya, thanks for stopping by. Your blog looks so delicious, I’m going to have to give my hand a try at some of your recipes! Thank you Stephanie! You have an awesome blog and I especially loved the snicker doodles. My son loves them, so will make them soon. Sandhya, is there an email where we can talk Blogging 101? I can tell you about the REader and we can discuss other issues pertaining to the course. Thank you so much! I do have the award already but appreciate you liking my blog. Do visit again! I’m addicted to curry. I started eating it because the Indians of Southern India have low incidence of Alzheimer’s disease, plus there is in-vitro evidence that it causes macrophages to get rid of the Alzeheimer’s placque. Now I eat it because I absolutely love it. Great blog! I admire people who can cook, and especially those who are bold and creative about it. Thank you so much for the compliment Talmage! I admire people who can write as beautifully as you do! I loved the photographs too. You are definitely a gifted writer! Thank you so much Taylor! I am excited to know that you will be trying my recipes. Do let me know how you like them! Thank you so much Zeba! Thank you so much Anjali! I am so honored and appreciate the nomination. I have been nominated recently by another blogger for the same award so this is a double honor! All about the foods and recipes, fantastich!. Thanks a lot for follow my blog Shandya, I follow your inspired blog too. Regards! Thanks. You are an amazing photographer! Hi Sandhya, I’ve just nominated u for the creative blogger award. Cheers! Thank you so much! I am touched and I really appreciate it! I absolutely appreciate it! Thank you so much for thinking of me. But I already have the Liebster. So I am sure you would want to nominate someone else. Thanks! Love to read your blog too. Hi Sandhya! Nominated you for ‘Post a Quote Challenge’. Instantly thought of you when I had to nominate someone. 😀 Hope you enjoy it. Thank you so much for thinking of me and nominating me Sumana. I will try my best! Thanks Pawan! So glad that you have joined the Indfused family! Hope you and Usha like the recipes. Looks very interesting. I will look around and see your recipes! Nice Blog! I am so glad you visited my blog because I am happy to have discovered your interesting blog! Wow! Look forward to reading more about raising 9 kids in the middle east and your recipes from so many cultures! I have liked your FB page too. Mine is Indfused on FB too. Ok great thanks. I will like you on fb and am following you. 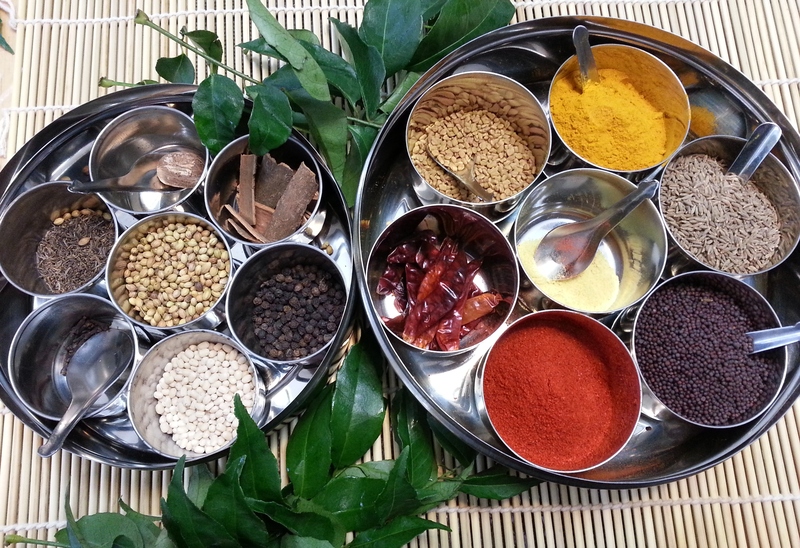 I love Indian food and have been looking for more authentic recipes since I started my blog. So i look forward to seeing all of yours! Thank you! I look forward to visiting your blog again too! I did Lynn! You have an awesome blog! Thanks Sandhya! yours is amazing! Thank you so much for thinking of me! I am so honored! My 2nd Liebster! Hi sandhya! awesome blog! thx for liking my recipe, its a real confidence booster coming from you. thx once again. Stay in touch ! So nice to meet you Dipti and thanks for the follow.Yes lets keep in touch! I look forward to your posts from Hyderabad! No problem Dipti! lets keep in touch! Hi Sandhya, I have nominated you for (another) Versatile Blogger Award! Thank you so much! I really appreciate your kindness! Sandhya (Auntie), I am a Maharashtrian teenager living in Pennsylvania. I love your blog very much and I will definitely be showing this to my parents! My mom is also a really good cook and spontaneous recipe maker and I’ve been pushing her to blog for so long. Congratulations on making such a widespread and famous blog and I wish for your success in your future endeavors. Hope to see you on my blog, involving recollections, incidents, current news, science as you will definitely see me all around indfused! I already am following your blog! Thank you so much for following Indfused. I try to streamline the Indian and Indian fusion recipes so it is easy for young people like you and my children. Lets keep visiting each other’s blogs. and do tell your family and friends about Indfused. Can u pl help me how to marked required fields in reply section.I am working on gharkepakwan. I replied on your blog Parul. I am no expert but am happy to share what I know. Your trick works Sandhya.Thanks so much.I have some more queries. Thank you so much for visiting the blog and for your kind comment! You made my day! Thanks Aditi! Will think of something to post. Glad to have found your blog Sandhya 🙂 Iove the fusion you create! Marvelous! Thanks for stopping by and joining my blog. Bienvenue! Thank you so much for sharing this recipe.This one is also very close to my heart.Brings back lot of sweet memories. This goes very well with hot rice and a roasted papad( sprayed with some coconut oil). Thank you Veerashree. It is a recipe close to my heart too. I am with you on the hot rice and roasted papad with coconut oil- soul food indeed! Only just glimpsed one page and my mouth is watering already! Good to find your blog – via Lynz Real Cooking. Thank you so much for visiting my blog and for your kind comments! I got a chance to visit your blog and loved it! Love your blog. Stumbled upon your blog today. Looking forward to trying your recipes. Love your pictures. That makes me want to try your recipes. Because I eat with my eyes. Thank you so much Shital. I enjoy food styling so that is a huge compliment. My recipes focus on being healthier easier and above all yummy! So I hope you enjoy them too! I am so glad that you are visiting my blog. Hi Shandhya. Lovely to meet you. Thank you so much for visiting my blog and for following me. I adore Indian food, so look forward to visiting your blog. Have a lovely day. I have nominated you for the One Lovely Blog Award as a token of my appreciation. Thank you so much Meena! I am truly honored and appreciate your kindness immensely! this is being marathi from mumbai .we find your blog quite attractive . we can do barter if you are interested . we will promote your site with our pages and you will promote our videos on you site. Thank you so much for reaching out to me. I am flattered. Please let me know an e-mail address I can write to you at. Sandhya 🙂 thanks for following and supporting Bake to the top! I am absolutely loving your ideas and I think yours is my new favorite blog!! Thank you Utkarshini! I am so honored. You have a great blog! I am excited to follow your blog, Sandhya! I am new to Indian cooking and eating. Just this year my son took me to my first Indian restaurant. I loved it! It has been fun learning about spices I knew nothing about. I hope to learn a lot more through your blog! Thanks so much for the follow Shari. I am so glad you enjoyed Indian food. I try to simplify the recipes and also make them healthier. I hope you like them. Thank you so much Utkarshini! I am truly honored. Great blog! Ever since taking a cooking class in Delhi a few months ago, I can’t get enough of Indian food. Love that you have easier methods that I can use for simple everyday meal in my kitchen. I am so glad you stopped by and are following my blog because it also gave me a chance to visit and follow your amazing blog! I am also an architect by education and training, so we have that and our love of food in common! This blog is so well done!! I am looking forward to trying out the recipes! Thank you so much my dear Linda! I am so happy to know that you are checking out the blog! Thank you Cecilia for visiting my blog. I hope you like the recipes – both Indian and fusion. Do let me know if you cannot find a certain spice. They are available online or could be substituted. I will try my best to help. Really loved your stuff jalapeños recipe. I modified it by stuffing with kale bhaji. I have shared my recipe on Konkani Aamchi Food group.Have mentioned your name since I was inspired by your recipe.I have also shared your blog with the members. Thanks so much Veerashree for mentioning my name and also sharing my blog with members. Klae bhaji stuffing sounds wonderful! Veerashree is the Konkani Aamchi on FB? Would love to see it! Pierogi bardzo sympatyczne. Ciekawa jestem zwÃ…Â‚aszcza tych makowych potraw wigilijnych z rÃƒÂ³Ã…Â¼nych czÃ„Â™Ã…Â›ci Polski. Na podkarpaciu krÃƒÂ³luje kutia, sÃ…asy‚zÂÃ…Â‚am o kluskach z makiem i innych makowych specjaÃ…Â‚ach. Co u Was robi siÃ„Â™ z maku poza makowcem? Thanks for the visit and the kind words! Thanks so much Karunya! Do let me know if he liked them. GREAT BLOG! while working on my research over fusion, google suggested me and yes I liked it so much that I couldnot stop myself trying maximum of your delicacies…. Thanks so much Ranveer! Sorry about my delay in replying but I hope you have tried more of Indfused’s delicacies. You have maintained well discipline in your blog. Your recipes are just outstanding! Please upload more recipes before Diwali! I would love to try it at home. My mom loved your fusion! I will share a picture with you once I try your recipe. Thank you so much for your kind words and please do thank your mom on my behalf too. I hope you got a chance to see my review post yesterday. Yes, Diwali recipes will be coming up soon. I will also start posting them on FB. Do you follow Indfused on FB? Please do. I would love to see you there as well. I love Tasted Recipes! Keep on rocking!